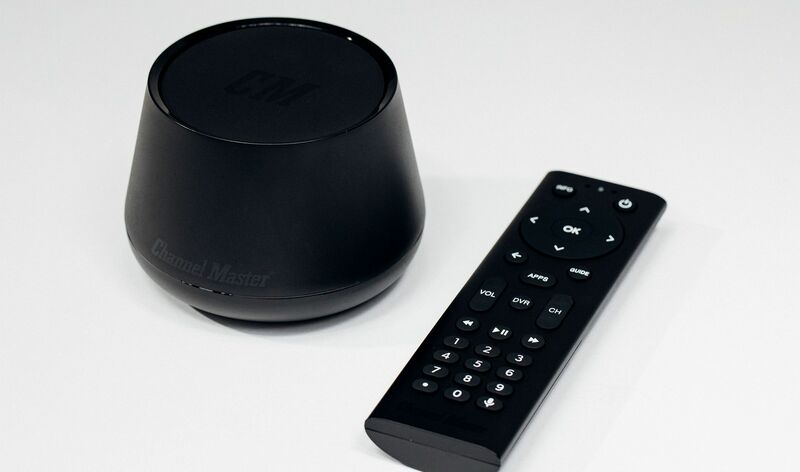 Antenna maker Channel Master wants to make it easier for you to add live TV to your streaming video diet. The Stream+ streaming media player ($99) has Android TV software, which uses Google’s Live TV channels to build you a personal programming guide out of the local channels coming from your antenna. Just plug in a MicroSD card for DVR features such as rewinding and pausing. The device’s two TV tuners let you watch one channel while recording another or record two programs at the same time as you watch streaming broadband-delivered video from your favorite apps. After connecting the Stream+ via its built-in WiFI or Ethernet, you add apps from the Google Play store such as Amazon Video, Hulu and YouTube. Those services will be incorporated into the device’s program guide. Channel Master is in talks to add the Netflix app as a future upgrade, too. The Stream+ connects to your TV via HDMI and is capable of delivering 4K video from streaming services such as Amazon, Netflix, YouTube and Vudu. This isn’t the first Channel Master product aimed at combining over-the-air TV signals and Net TV apps. The $250 DVR+, released three years ago, incorporated YouTube, Vudu and Pandora into a programming guide with local channels from an antenna. The Stream+ serves as a successor and a cost-effective alternative to popular streaming players such as Roku, with its ability to tap into live TV signals as a key differentiator. Most local live TV signals come in HD quality. Channel Master plans to begin shipping the Stream+ in mid-January and is now taking pre-orders on its website.